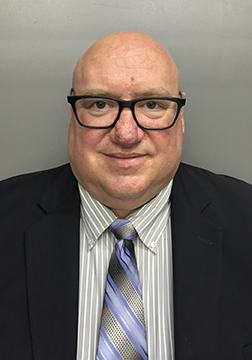 Buffalo, N.Y., April 9, 2019 – LeChase Construction Services, LLC is pleased to announce the addition of Timothy Jones as a project executive in its Buffalo office. In this role, Jones will manage large or multiple projects for core clients, with accountability for quality, value, schedule, budget and safety. He will also oversee the mentoring and recruitment of project team members. Jones has worked in the Western New York construction industry for more than 30 years, beginning his career as a resident engineer and progressing through many roles in project management. He has extensive experience in preconstruction services, construction management (both agency and at-risk), general construction and design-build contracts. In addition to New York, he has managed projects in Florida, Ohio and Pennsylvania, as well as across a variety of business sectors including K-12, higher education, entertainment and hospitality. Jones holds a bachelor’s degree in mechanical engineering from SUNY Buffalo State College and an associate’s degree in applied science from Erie County Technical Institute. In the community, he was previously on the board of Cradle Beach, a camp serving children with special needs or economic disadvantages. He enjoys fly fishing and cooking, and lives in East Aurora, N.Y.